The AirCam line of H.264 megapixel cameras combine advanced industrial design, powerful performance with market leading cost-effectiveness. AirVision. provides advanced recordingcapabilities and powerful analytics with a breakthrough web.based user interface. Combined with Ubiquitifs powerful line of H.264 megapixel airCam IP cameras, airVision is a revolutionary price/performance IP video surveillance system. Feature Packed User Interface Accessible from any web browser, airVisionfs user interface was designed to be easy to use yet packed with advanced features. Once the airVisionNVR Server package (included) is installed on any computer with Windows or Linux, the administrator can remotely access the powerful airVision Controller user interface through any web browser. AirVisionfs user interface is incredibly intuitive and loaded with powerful features such as detailed statistical reporting, multiple views, versatile camera settings, advanced analytics, and customizable event recordings. Secure and Reliable Access airVision's convenient yet secure user interface through your web browser via HTTPS. HTTPS encrypts and decrypts user page requests and pages that are returned by the Web server. Cost-Effective Solution Shattering conventional industry thinking, Ubiquiti offers AirVisionfs powerful IP surveillance systemcompletely free of charge. No huge upfront costs, no monthly subscription fees. 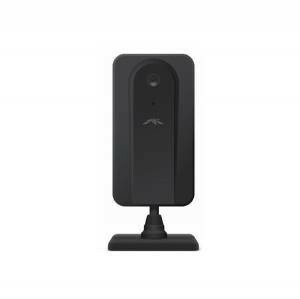 Breakthrough Price/ Performance IP Camera Product Line The AirCam line of H.264 megapixel cameras combine advanced industrial design and powerful performance.